Almost every morning I brew myself a pot of coffee. My husband doesn't drink coffee. My best friend doesn't drink coffee. All of that coffee is, in fact, for me. The real casualty in my coffee addiction is my smile. Cue Smile Brilliant helping me to keep my smile white, while also enabling my coffee obsession. Win win, right? 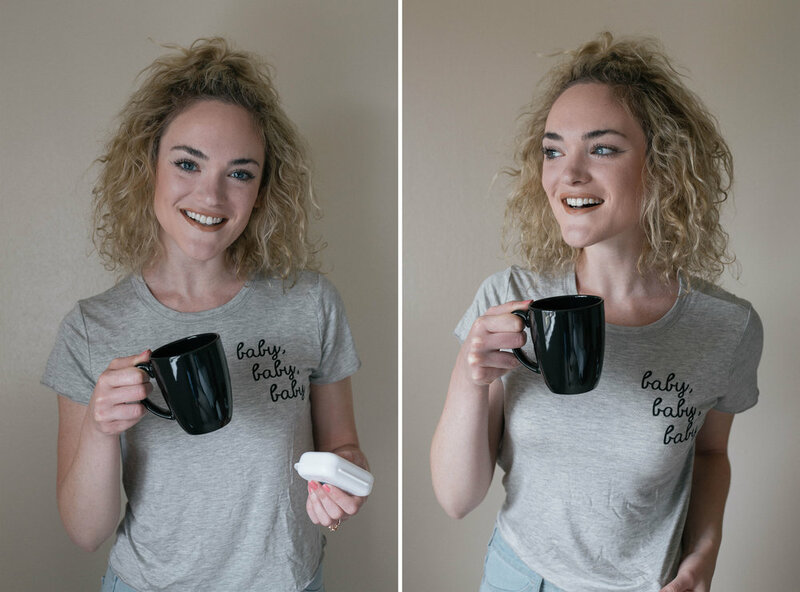 Plus, it involves a customized whitening tray fit for me, unlike the white strips I used before my wedding. Also, the desensitizing gel is so helpful and makes the whitening process painless. Don't judge my 'before' too hard (wasn't kidding about the coffee), but can we look at the magic Smile Brilliant has created? I never want my whitening trays to leave me and luckily they won't - and once again, they're customized. Bangin'. * The giveaway is for a $149 Smile Brilliant credit. It is open until 6/14 to USA, UK, Australia and Canadian residents.